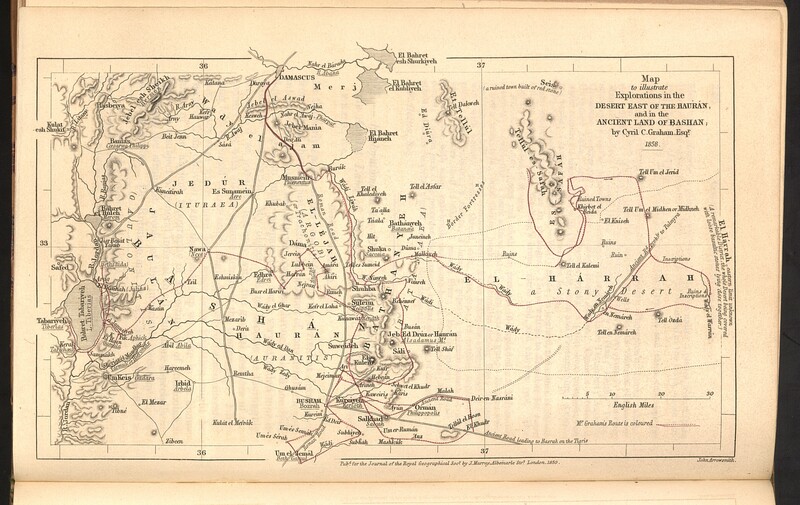 Cyril C. Graham, Map to illustrate explorations in the desert east of the Hauran, 1inch = 19 miles, in Cyril C. Graham, “Explorations in the Desert East of the Haurán and in the Ancient Land of Bashan,” Journal of the Royal Geographical Society of London 28 (1858): 226–63. Size of the original 19.3 × 11.1 cm. Photograph courtesy of the Bibliothèque Interuniversitaire des Langues Orientales (BIULO PER.5134).